Red snapper at the landing at Griffin's Marina, Leeville. 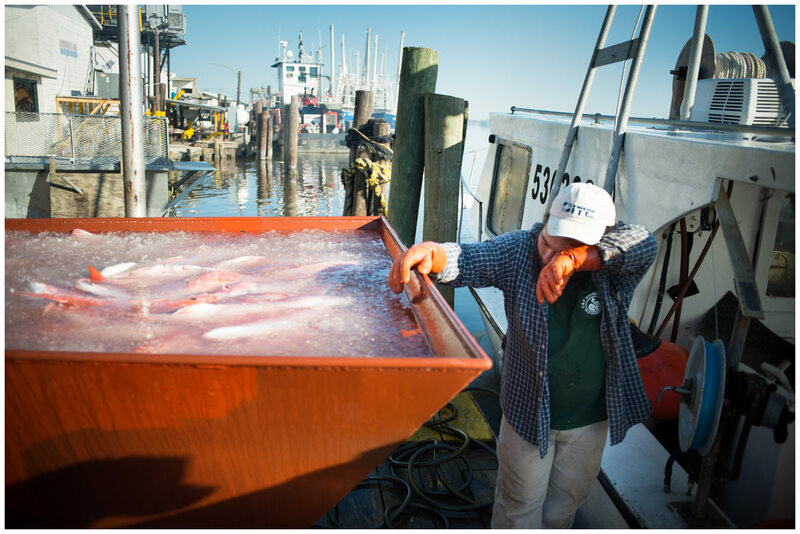 During the height of the oil spill and in response to public concerns about seafood contamination, fish dealers had to undergo a safety training, through which they would determine if a fish was safe to consume. It consisted of (literally) sniffing for contaminants.